In 2013, per capita personal income rose 2.9 percent in Idaho according to a report out Thursday from the U.S. Bureau of Economic Analysis. Nationally, per capita personal income grew 1.3 percent. Even with the growth, Idaho’s average per capita personal income of $36,146 remains nearly $9,000 below the national average. Per capita personal income in Ada County ranks 6th out of Idaho's 44 counties at $42,395. Click around this interactive map to see per capita personal income by county. Income growth was biggest in southwest Idaho. The only Idaho county where personal income shrank in 2013 was Lewis County. 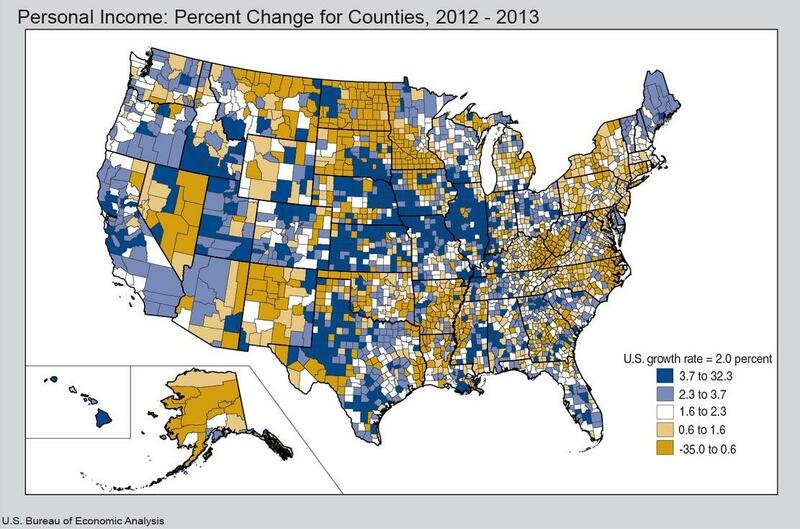 It was also the only county where income did not grow at all in 2012. 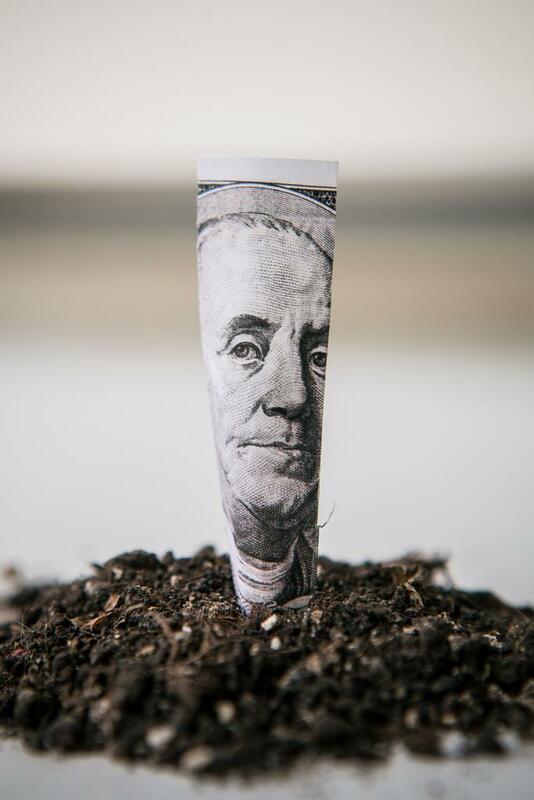 Nationally, non-metropolitan areas saw bigger personal income growth than metro areas, though city residents still make about $10,000 more than the rural population. Boise-area residents’ per capita personal income went up 2.7 percent to $36,780. Coeur d’Alene incomes grew 1.6 percent to $36,478 per year. Idaho Falls incomes went up 2.6 percent to $37,152 and Pocatello incomes grew 2.2 percent to $30,926. Personal income growth slowed between 2011 and 2012 across Idaho's metro areas. That’s according to data released Thursday by the Bureau of Economic Analysis (BEA). On average, incomes grew by 4.2 percent across the nation’s metro areas. None of Idaho’s metro areas met or exceeded that average. Data released today from the U.S. Bureau of Economic Analysis show personal income in Idaho hasn’t fully rebounded from the recession, though growth has been measured in the last two years. 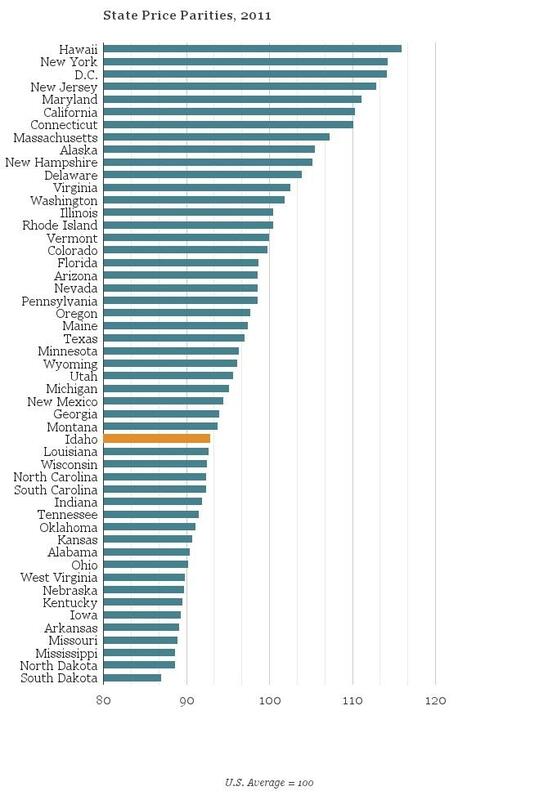 The personal income data from 2007 through 2011 offers a closer look at real-time incomes in relation to the state-specific cost of goods and services during that same time period. 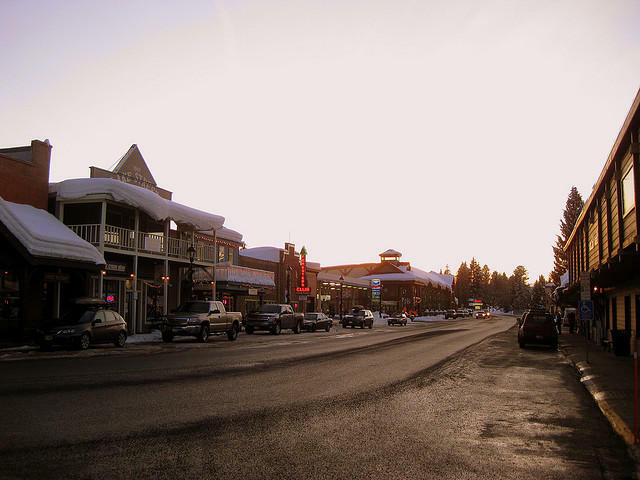 Idaho resort towns like Coeur d’Alene, Sun Valley and McCall had higher crime rates than most of the state’s other towns and cities according to the FBI’s annual report of crime stats released this week. Kevin Wolff, who teaches criminal justice at John Jay College in New York, says many resort towns are in the same boat.